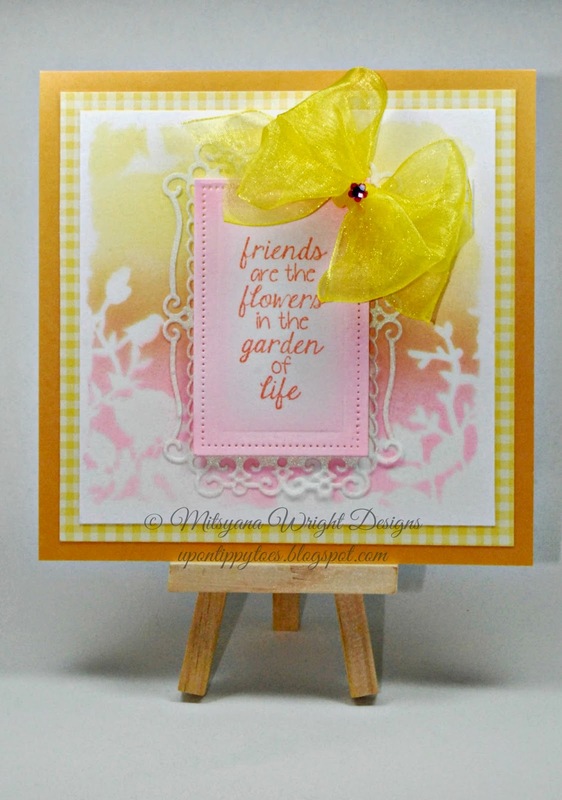 Hello Crafty Friends... Mitsyana Wright here, from team eBrush, to bring you this super quick & easy card. I don't know about you but I am an absolute card making nut! And with the holidays behind us I wanted to make some everyday and just because cards. Because let's face we don't need to wait till Christmas or birthdays to roll around to send your friends and loved ones fabulous cards!! And an amazing card doesn't have to be hard to make either! A great thing about stencils is that the make great backgrounds. 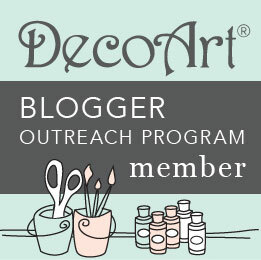 This stencil by Sheena Douglas is beautiful but a little to big to fit on my card... So to accommodate the size I opted to do half the stencil at a time... I chose to ebrush only the two sides of the stencil, basically the parts with the majority of the detail. I nixed the entire mid section of the stencil. 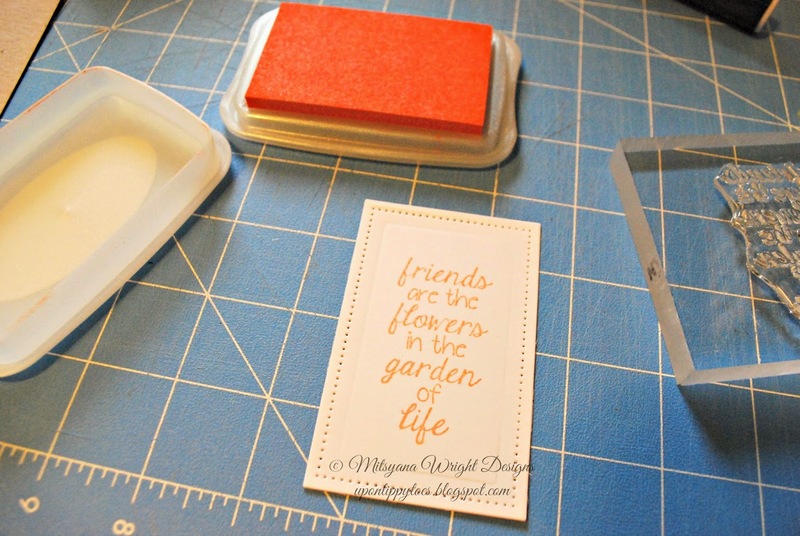 Don't forget to use your blue painter's tape to secure stencil in place. With my eBrush and Spectrum Noir markers I wanted to create the appearance of a sunset in the background so I ebrushed LV2 , GB2, and PP1 slightly letting the colors overlap but never allowing the spray to cross the center. Then I adjusted my stencil so I could get the decorative edge of the left of the stencil also onto my card so that the borders lined up and the image from the stencil and the newly sprayed image met. Again, securing with painter's tape. Then I continued my sunset onto the second half of my card. 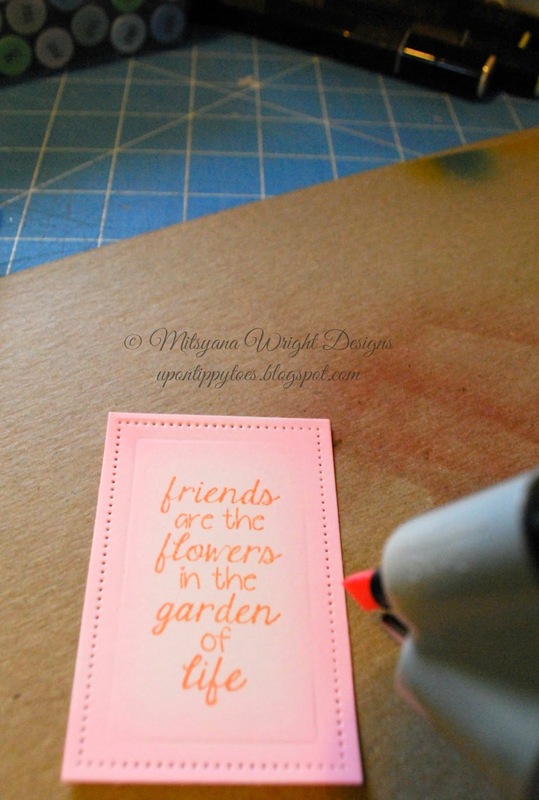 I then cut a rectangle out of white card stock using Spellbinders' Pierced Rectangle Dies and stamped it with a sentiment from Pink and Main's Flower Boutique Greetings stamp set inked with my Brilliance Ink Pad in Pearlescent Coral. I then eBrushed around the edges of the rectangle using my Spectrum Noir Marker in PP1. I layered my sentiment over a scrolled rectangle made from iridescent vellum. 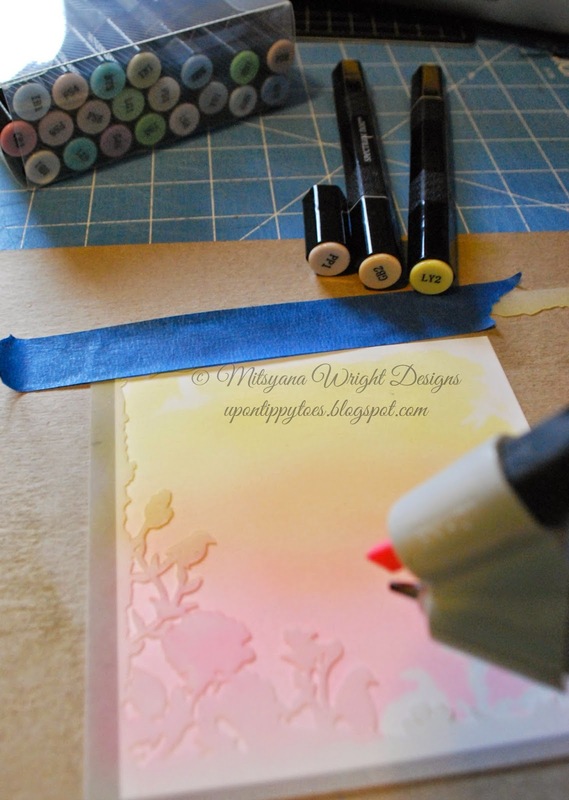 To do this I used Spellbinders' Valiant Honor set. Then centered it in over my stenciled image and topped with a yellow organza bow with a rhinestone flower center. 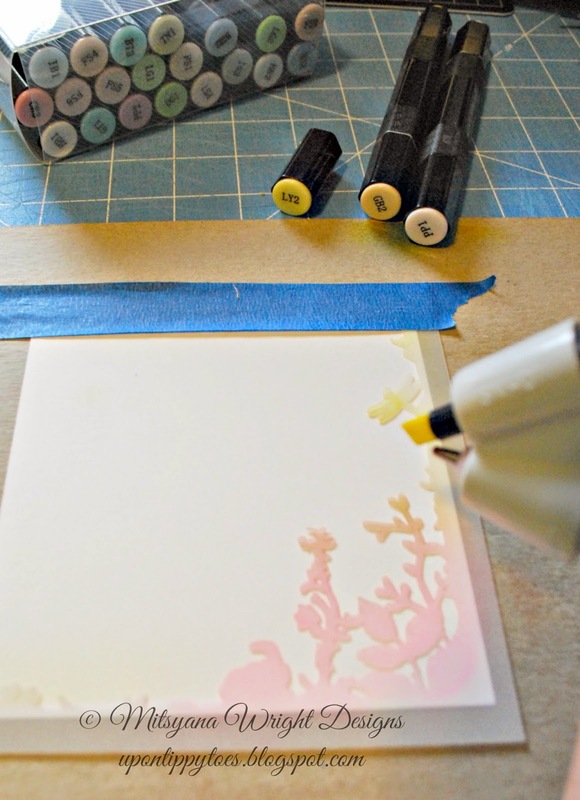 Hope this card inspires you to experiment with your eBrush and stencils! !